For 12 weeks, I led a paired fellowship class @ our church called FIT: The 5K Challenge, using the Run for God 5K book as a guide for our discussions and training. It was a diverse group that enjoyed a lot of insightful conversations and there were moments of epiphany and growth for all involved, especially me. 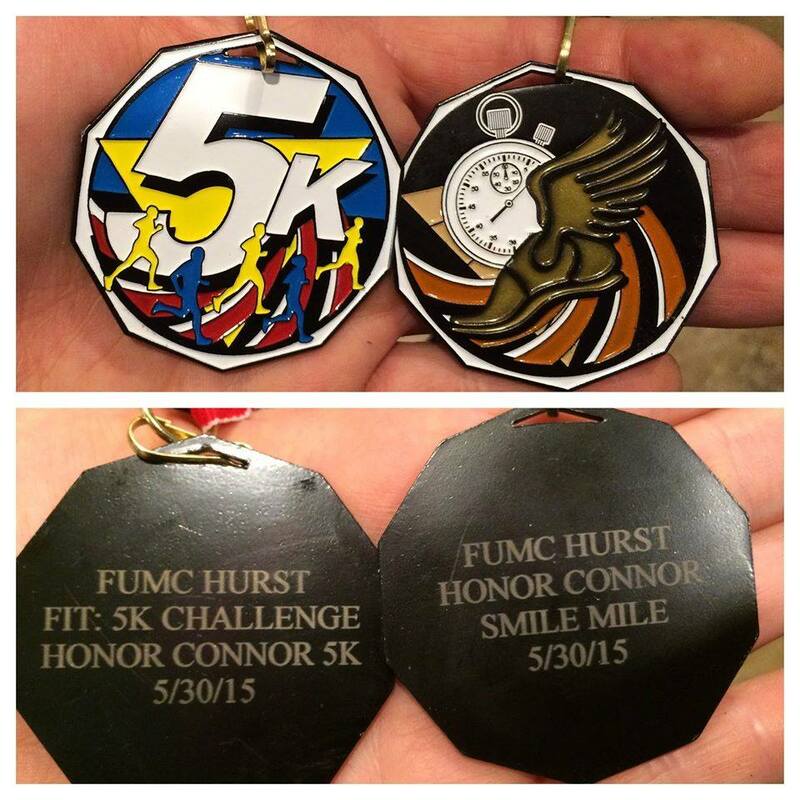 Our group ended the session together by running our target race, the Honor Connor 5K & Smile Mile. We had 13 runners total – most were running their first or second race ever. The start was delayed 2 hours, thanks to heavy rain/lightning/flooding. 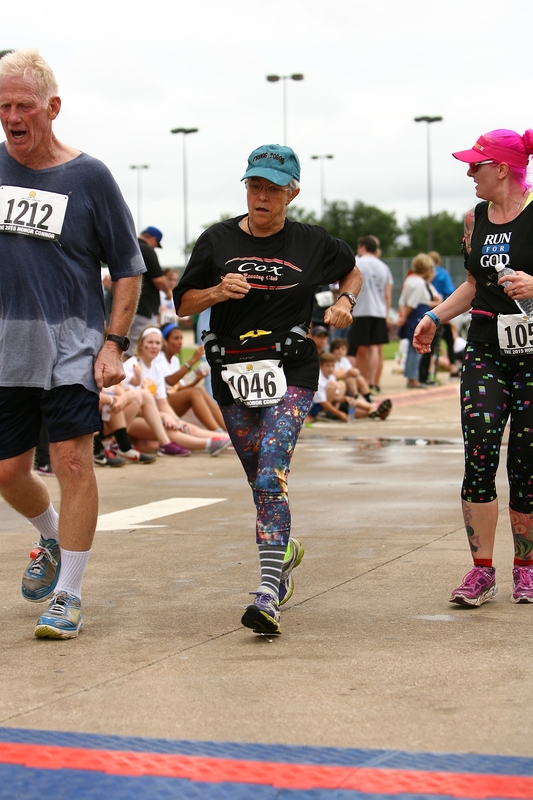 When we finally got to run, the humidity was pretty intense & there was standing water on many sections of the courses. None of us let the conditions deter us from enjoying our races! 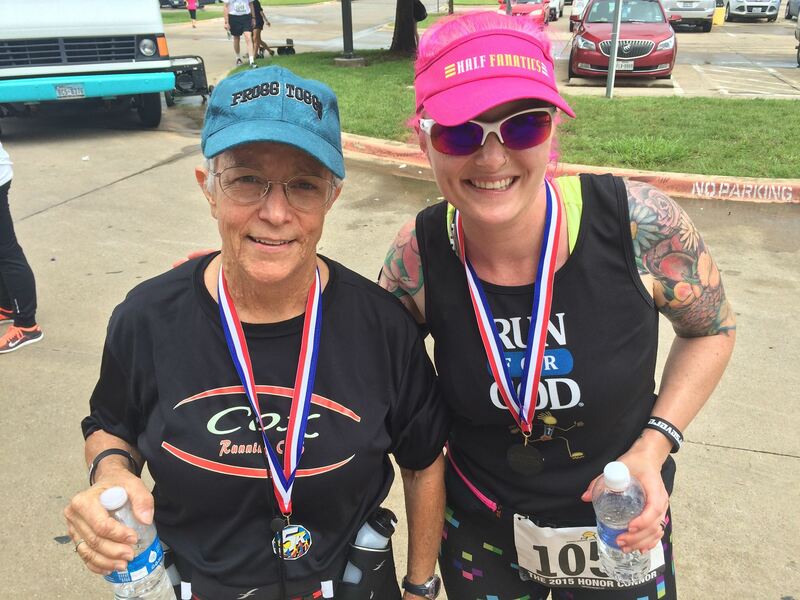 Both my mile & 5K groups did an amazing job – two of my women placed in their age group (2nd & 3rd in the same AG). One of my gentleman was initially listed as placing 2nd in his, but a recalculation bumped him – he would’ve been first in the next AG if he’d been a few months older. As he put it, “I’m not too slow for my age, I’m too young for my speed.” 😀 He was just ahead of me the entire time & finished right in front of me – watching his joy throughout the race (he is a former runner who took some time off & has used this class to return to running) was better than running my own race (which was still a lot of fun – good course & great support). I want to be the lady next to me when I grow up. She was so cool. I made her race me in the last 20 steps. I finished my 5K, then went back out & ran in each of my remaining students – I got them just to the line so they could cross on their own, then turned back to run down the course to find the next one. 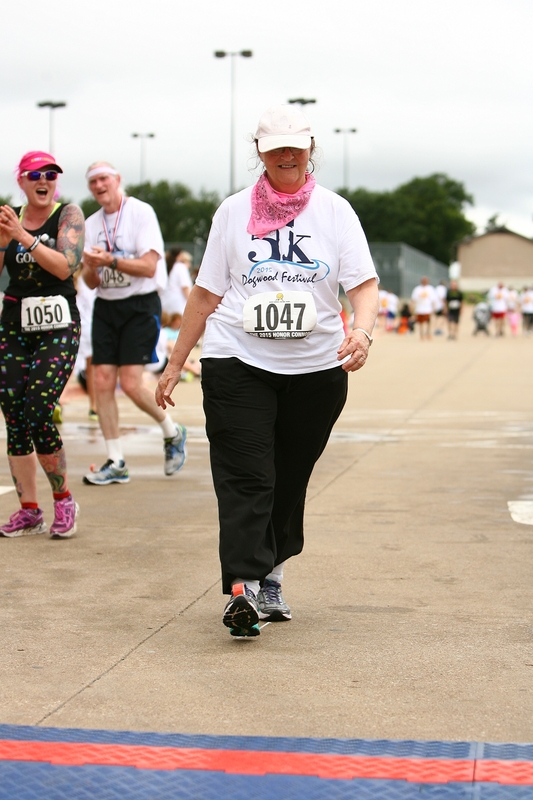 After my 3rd time coming down the home stretch, a few little girls on the curb asked, “how many times are you gonna run this race?” When I explained what I was doing, they cheered “go pink lady!” and repeated it on the rest of my return trips. I may have that printed on the back of my coach shirt for next session. I had secretly ordered medals for everyone in our group, and the shock & joy on their faces as they received them brought tears to my eyes several times. I also cried as I crossed the line with each of them. I’m a sap. 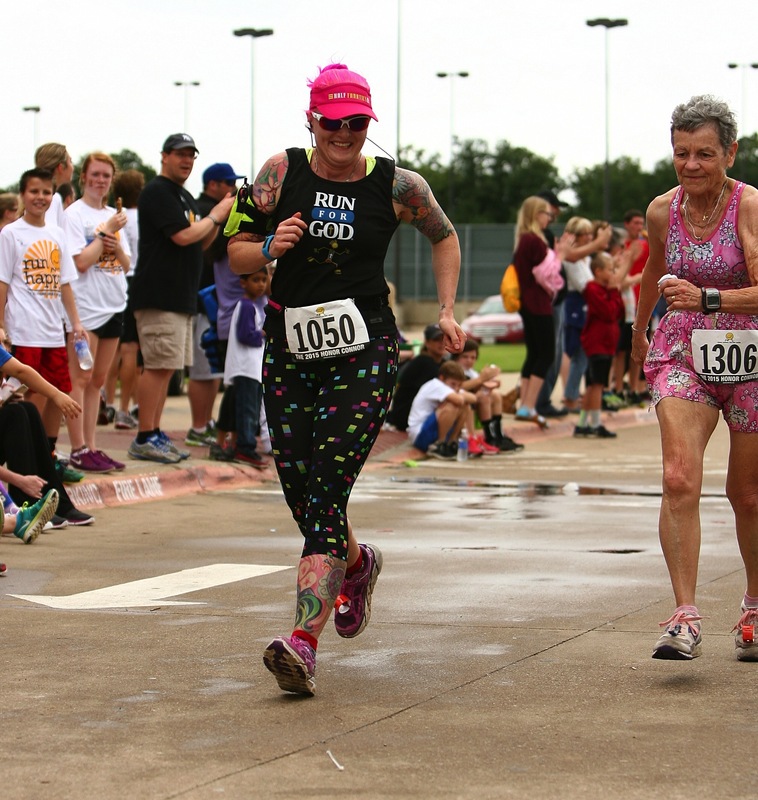 I’ve run about fifty 5Ks, but this one was one of the best race experiences I’ve ever had. To see my little group achieve their goal was sweeter than any award I could receive. I can’t wait to do another one of these classes in the fall! 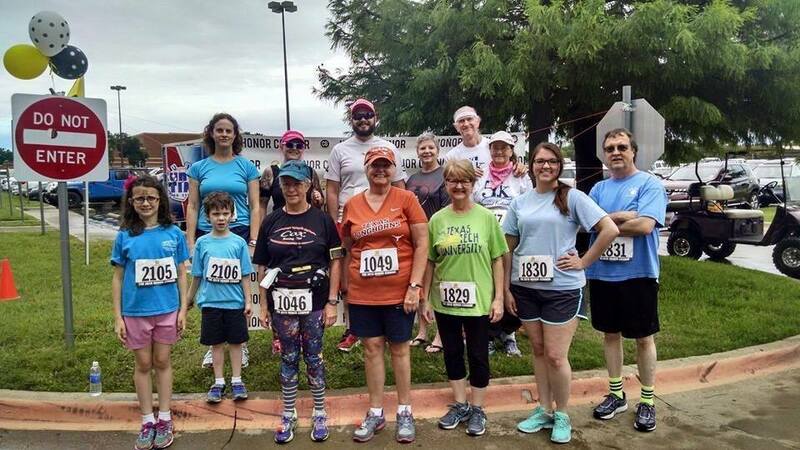 This entry was posted in Running and tagged church running class, dara o'bannon, FIT 5K challenge, fumc hurst, pynk coaching, pynk fitness, pyro maim ya, run for god on June 9, 2015 by Pyro.